If triathlon was easy it would be called football. Let's face it - nobody wants to see naked Americans. celebrity Big Brother - Lacey Banghard, Page 3 model. You coldn't make it up. 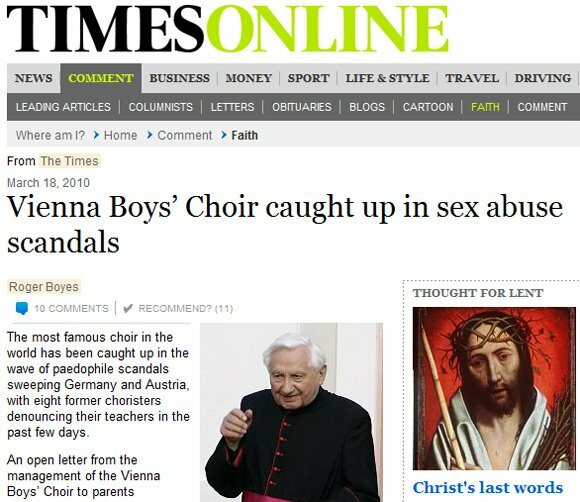 An investigation into child abuse at the Vienna Boys Choir - reported on by none other than Roger Boyes. Wasn't he on the crew of the Black Pig? Although, strictly speaking his profession is a journalist, not a Rogerer of boyes.